Branded paper cups are a great marketing tool at events, festivals and conferences where attendees generally only have one or two beverage choices. Often used at sporting events, promotional paper cups after often used by coffee suppliers, but can just as easily be branded with the name of the café or event name as well. 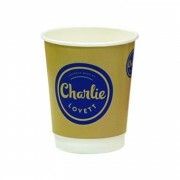 We have a range of paper cups in an 8oz (237ml), 12 oz (355ml) and 16oz (473 ml) size. 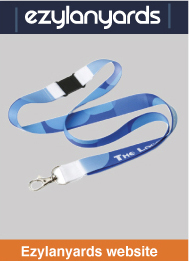 Many of our café customers choose all three sizes while those running events and festivals generally choose the one size to minimise on stock being held in small areas. 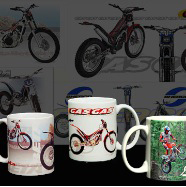 Due to the style of the cup, as long as they are kept dry, they can be stored away for your next event without breaking down or losing their print. There are many reasons why companies use paper cups for events, functions, conferences and the like. 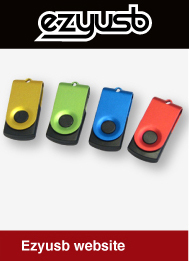 They are a budget friendly way of getting your brand name in front of the public, and are also a great marketing tool in that attendees will be carrying around your branded paper cup while they walk through your event. For cafes, branded cups often get carried around in a public space, whether that be a shopping centre, down the street or in the office environment. It gives your brand plenty of exposure to people who may not have originally thought about purchasing something from your brand, or who may not know who you are. Our branded paper cups are also great for businesses such as conference centres, theme parks, cinemas, fuel stations, airlines, motels and more – paper coffee cups have such a wide variety of use, most businesses will find a way to use them. If you think about it, promotional paper cups are a mini-billboard promoting your company without you spending a lot of money doing so. Millions of businesses spend thousands of dollars trying to promote their brand – you can do all of this in a much more cost effective way with a branded paper cup at your next event or in your café. 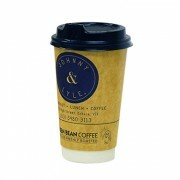 These cups can be used for a range of hot beverages including coffee, tea, hot chocolate and chai, while they can also be used without the lids for cold drinks at sporting events. Some of our other customers have used them as sample cups when trialling or introducing new drinks to the market, while others again have used them at events to hold lollies or popcorn for children. Our branded paper cups are all recyclable and come with a digital or offset print which help to keep your brand standing out. 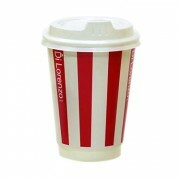 These cups are made at a high standard so can be used for a range of settings without sticking together or leaking. Whether you are looking for a range of takeaway coffee cups for your restaurant or café, or need them for your next conference, sporting event or function, our double walled promotional coffee paper cups are a great choice.